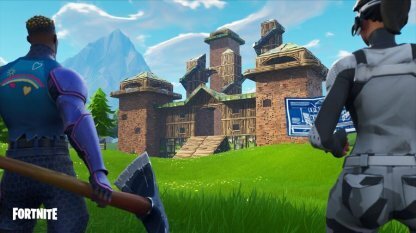 Learn more about the Spiky Stadium of Fortnite Battle Royale. Information included on the Spiky Stadium, Playground mode, Red Supply Drops and more. 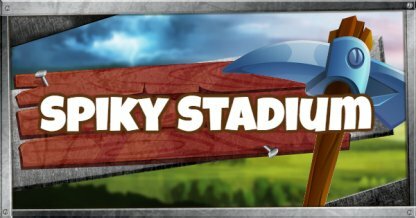 How Can You Build Spiky Stadium? This limited item is only available in Playground Mode. 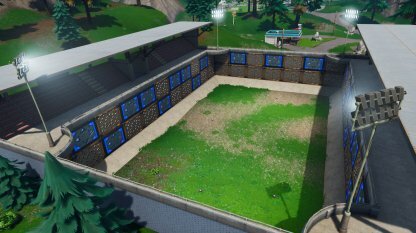 The Spiky Stadium creates a large building full of damage traps and bouncers! This is a limited time item meaning that it may be removed some time in the future. Spiky Stadium item is present in Playground only, found in red Supply Drops! How Does Red Supply Drop Look Like? Red balloon is the thing you need to find! Check Drops from the sky! Epic Games Official says "Give it a throw and an arena will appear, ready to go for any mini-game your squad can think up." Build the stadium and create house rule and enjoy! Playground is Fortnite's training/practice mode. Let your imagination run wild without needing to look over your shoulder for enemies.